I do not know if they are a loan, but it could be so. I do not recall HM ever wearing these earrings before, but let's hope they are hers indeed. As Duchess of Brabant she has borrowed pieces from jewelers. 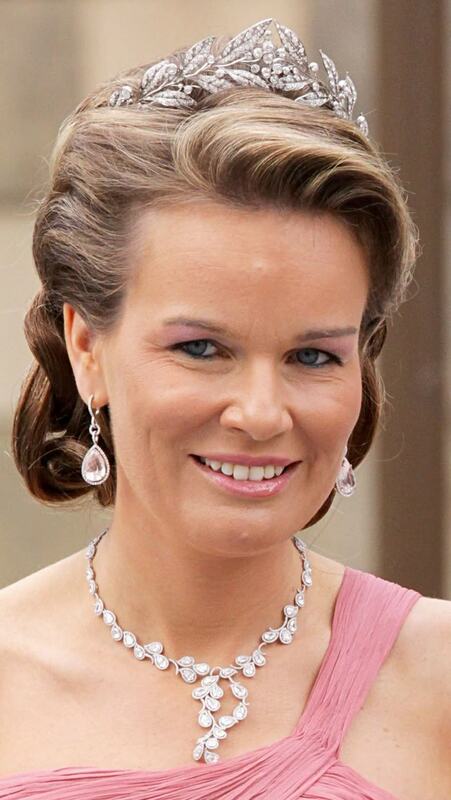 For example the necklace and earrings during the wedding of CPss Victoria (from Brussels jeweler Leysen) and a Wolfers necklace which was worn at the pre-wedding dinner of the Duke of Cambridge at later at the pre-wedding dinner of the HGD of Luxembourg. 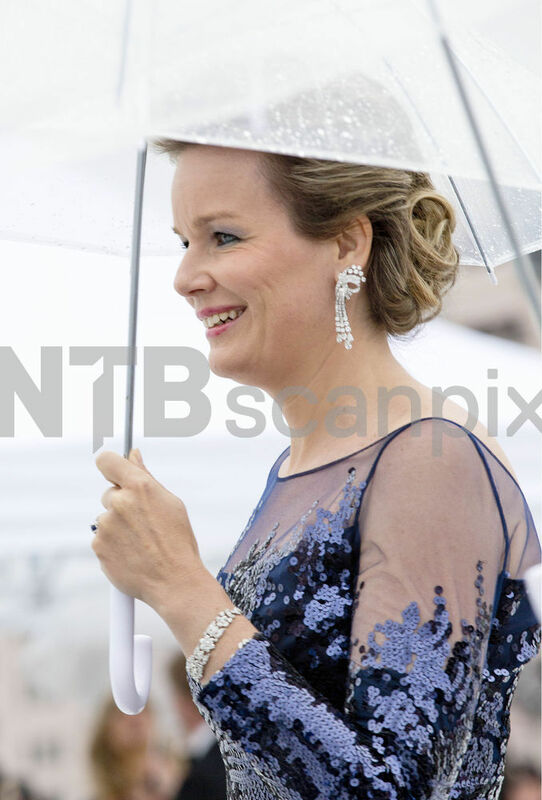 The jewels worn at the 40th birthday of the Prince of Orange were also a loan as were the diamond and pearl earrings worn at the baptism of her goddaughter Pss Alexia of The Netherlands. 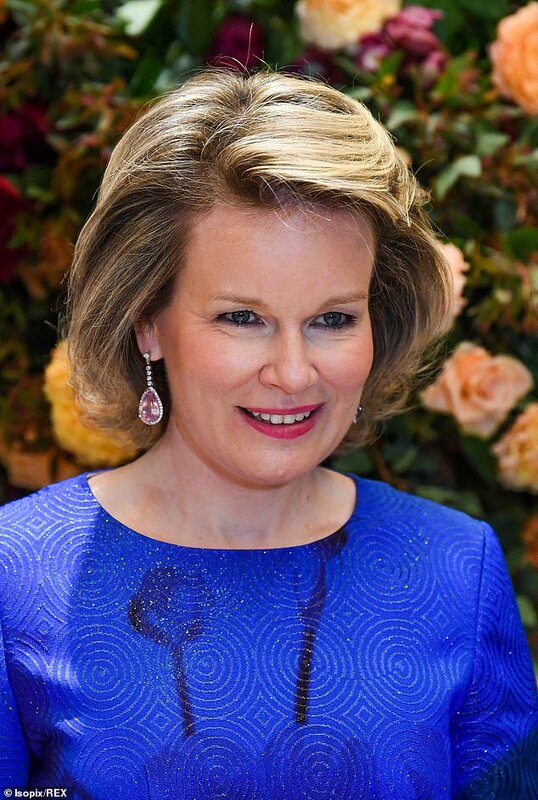 The necklace and earrings that she wore during the dinner after the wedding of the prince of Monaco were borrowed from the Brussels jeweler Manalys. Loans from jewellers reduce the prestige of the Royal House a bit. Then the Queen is in exactly the same league as an actress on a red carpet event. It is precisely the provenance and anciennity of royal jewels which add something extra. I don't understand why the Koninklijke Schenking / Donation Royale does not set up a collection of jewels. Every month nice jewels are auctioned in Europe. They could create a pool, available for the Queen and the princesses of the House. It is really not that costly. Hopefully the queen owns them outright,I really hope that Queen Fabiola's aquamarines and other jewels are still available to the Belgian RF as the late queen had some wonderful pieces. Are they new ? I don't think it is a loan as they must be relatively inexpensive. 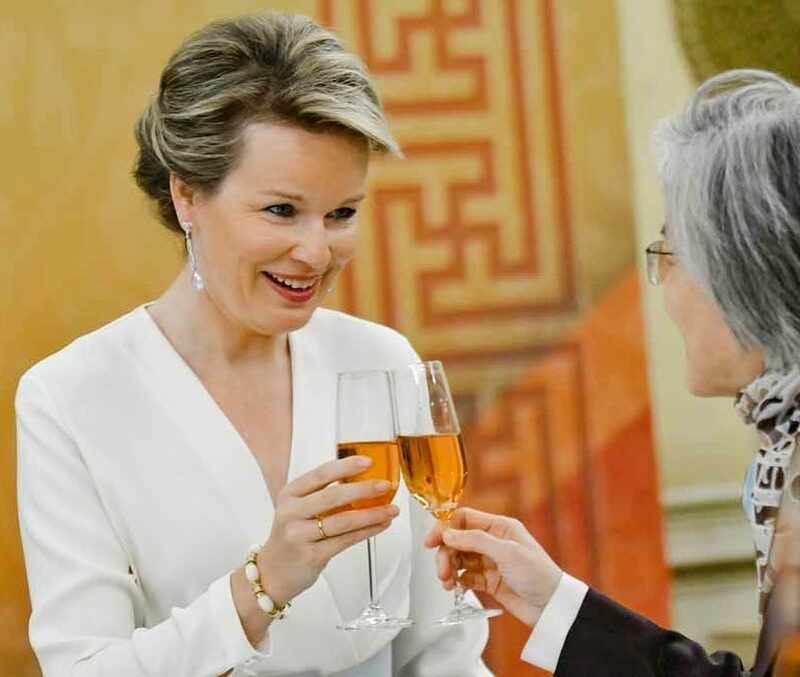 Queen Mathilde wore two pairs of interesting earrings this week during the Belgian state visit to South Korea. I'm not sure but for me it seems that the second pair of earrings worn by QM in South Korea is just a different setting of her old diamond pink stone earrings. I don't understand why the Koninklijke Schenking / Donation Royale does not set up a collection of jewels. Every month nice jewels are auctioned in Europe. They could create a pool, available for the Queen and the princesses of the House. It is really not that costly. But that still would not be historic Jewels whioch have been worn by generations of belgian royal Ladies. Well Mathilde will wear it, Élisabeth will wear it. Élisabeth's daughters will wear it. The collection will be available for the princesses of the House. We have seen with the Poltimore or the Greville that a new addition can become an asset. But this will never happen when Mathilde loans something from Wolfers, then from Leysen, then from Manalys, etc. I am surprised. It is the Belgian Royal House, not exactly the most pauvre one would think. 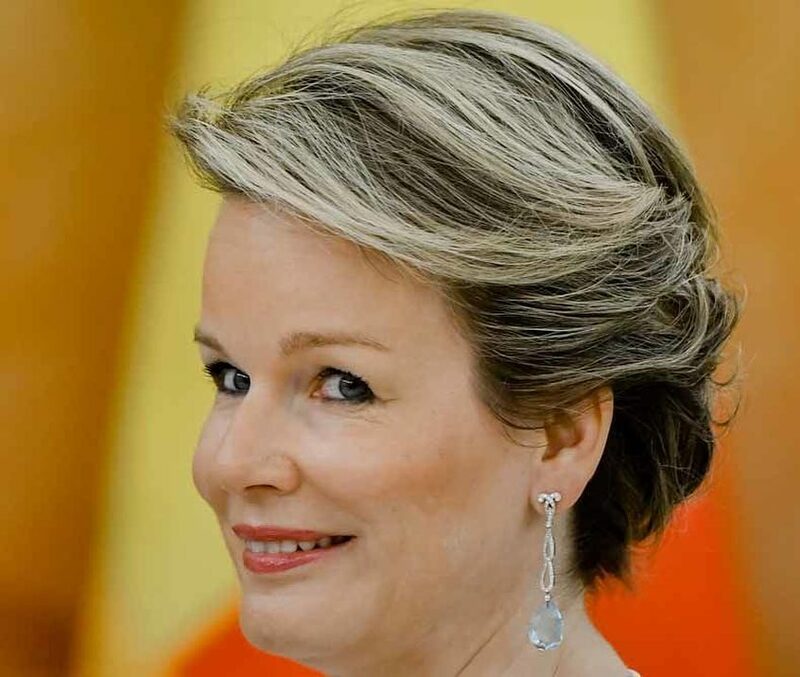 Strange that the Queen of the Belgians has to loan jewels.